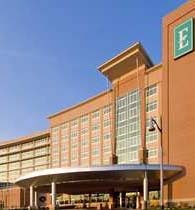 The 2012 DRI Mid Region Meeting will take place on May 4-5, 2012 in La Vista, Nebraska (15 miles from the Omaha airport). The meeting will take place at the Embassy Suites Conference Center and hotel rooms have been blocked next door at the Courtyard Marriott. Reservations may be made at the Courtyard Marriott at (866) 634-7155. To obtain the blocked room rate of $164 for a single/double, please reference “DRI Mid Region Meeting.” Please note that the cut-off date for this rate is April 11, 2012. Reservations must be made prior to April 11th.